Do you find it so troublesome to take a look at the photos you save on your computer? Every time you want to see those photos, you have to turn on your computer and find those pictures, isn’t it inconvenient? At this time, you must be wondering if only you can import those photos from PC to your iPad. So how to import photos from computer to iPod? 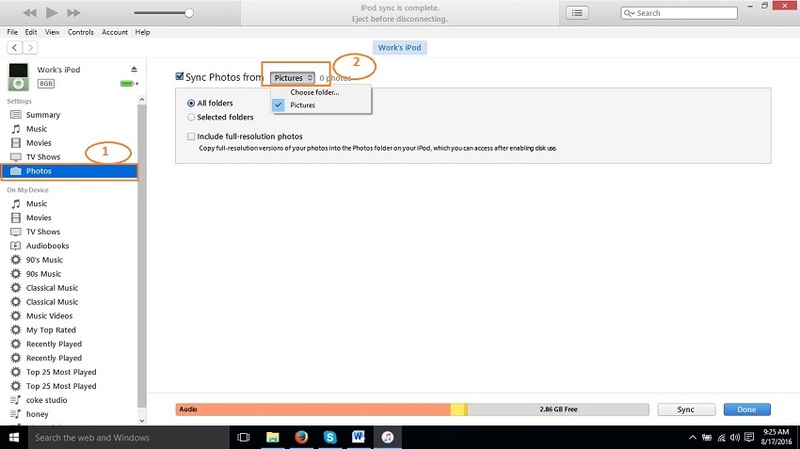 Don’t worry, there are two ways available for how to transfer pictures from PC to iPod. Step 1: Download and install the latest version of iTunes on your computer and open it. Connect your iPod to your computer via usb cable. You can find the ipod icon at the top-left. 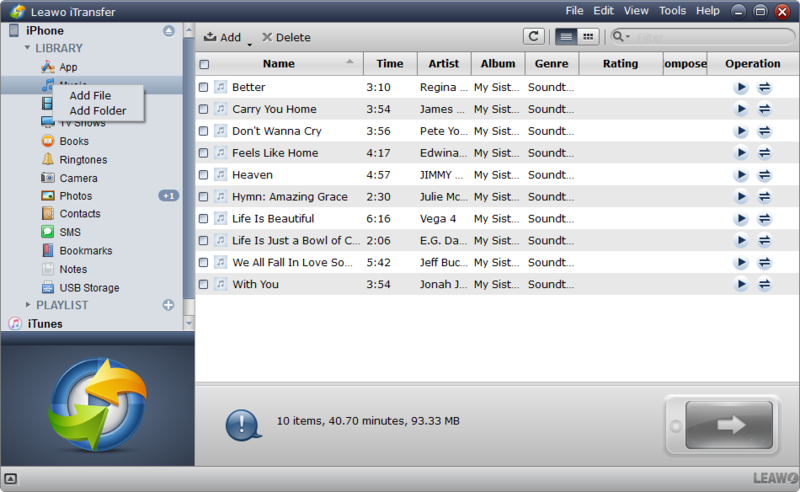 Step 2: Click on your device icon on the top in the right side of music to get redirected to the summary page. Scroll down and check “Manually manage music and videos” in the options and click on Apply button. Step 3: Now go to photos from the left side windows and click on it. After moving in the option click on “Sync photos from” and in the next box select the “Choose Folder” Option. 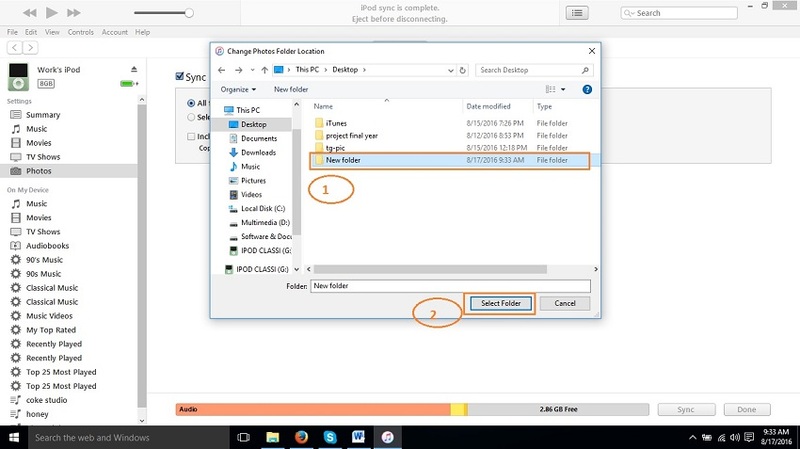 Step 4: Before starting syncing images from your computer to that folder, create this folder anywhere. Once folder created and images copied, click on Select Folder. Step 5: Now click on Apply button at the bottom of the photos and your photos will be added to iPod touch by replacing all previous available photos of your iPod. 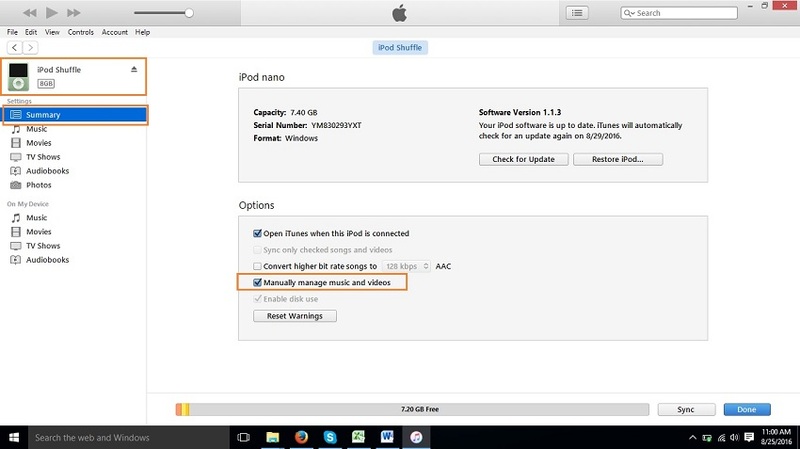 Step 1: Launch Leawo iTransfer after installing it on your computer and plug iPod touch to computer via USB cable, then the software will automatically detect your device and iPod library will be shown in the left sidebar. Step 2: Click Add File/Add Folder in the right to add photos from your computer to your iPod. The software enjoys a great advantage that allows you to selectively transfer photos from PC to iPod. You can also put all photos you want to transfer in one folder. Step 3: Click “Transfer to > (your device)” to start transferring. A dialogue of transfer process will pop up and the process will be finished in seconds. 1. 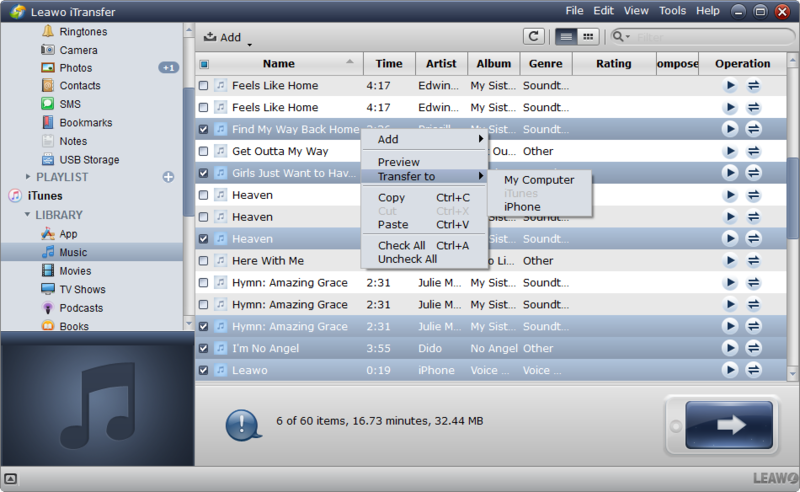 Easy operation facilitates to transfer pictures from the computer to iPod. With Leawo iTransfer, only three steps are needed for the transferring process. 2. Selectivity allows you to selectively transfer photos from the computer to iPod. Leawo iTranfer enables you to selectively import pictures from PC to iPod without replacing the previous pictures, while iTunes will make you lose all previous photos. In order to show you a clearer overview of the comparison of iTunes and Leawo iTranfer, we are glad to introduce the following table to illustrate the similarities and differences between iTunes and Leawo iTransfer, you can choose any one as you like according to your actual need. As you can see from the chart, Leawo iTransfer covers more features you are going to need to transfer photos from computer to iPod. If you don’t know how to import photos from computer to ipod before, iTransfer would be a great program to start with the process.